Ahead of the 25th anniversary reissue of R.E.M. 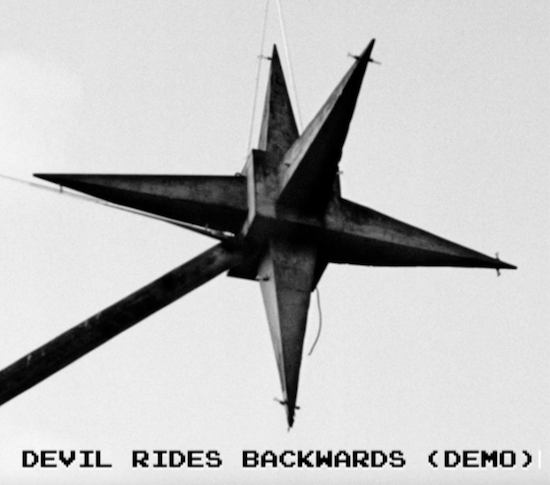 's Automatic For The People, you can listen to a previously unheard track by the band called 'Devil Rides Backwards' (by clicking here). The track will be available as part of the reissued album's Deluxe Edition, due out on November 10 on Craft Recordings, which features a number of unreleased tracks and demos as well as a live recording of a 1992 performance at Athens, GA's 40 Watt Club. “The album’s great lost track—talked about by fans the world over down the years, but never previously heard—is ‘The Devil Rides Backwards On A Horse Called Maybe.’ Although unfinished, its inclusion here is a tantalizing glimpse into what might have been an AFTP highlight. Except that in this demo, the horse is a mule. In addition, the four disc Deluxe version of the release comes with a whole bunch of never commercially available demos, including 'Mike's Pop Song' which can be streamed via this link. There is more information on the reissue on R.E.M. 's official website and you can read our feature on the album here.